On your last trip down KN 29 Street you may have noticed that Heaven Restaurant have expanded their empire all the way up and down the road. Along with their restaurant which has become a Kigali icon, they’ve expanded into the world of accommodation. They now also run Heaven Boutique Hotel (spread across three buildings) and their newest and most exciting addition is The Retreat, their contribution to luxury accommodation in Kigali. 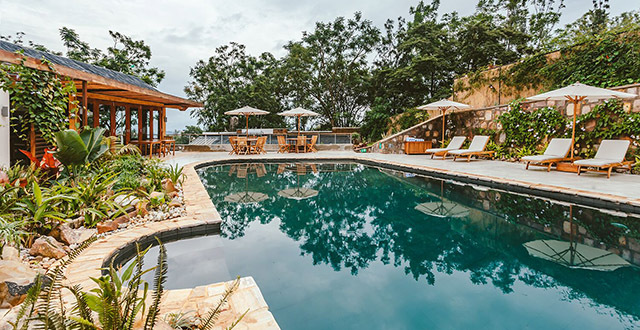 The Retreat is Heaven’s answer to the likes of Kigali Marriott, Serena Hotel, and Radisson Blu who all have a very high standards but offer up a large hotel that caters a bit less to those on safari who are looking for a more personal, boutique approach. If you travel around Rwanda you’ll find several very high end safari lodge type places like Virunga Lodge and Bisate Lodge in Musanze, Ruzizi Lodge in Akagera National Park, and Nyungwe House in Nyungwe Forest National Park but there had never been anything of a similar standard in Kigali until The Retreat opened earlier this year. Since I’m not one of the fancy people of the world who stays in high-end places, the fine folks at The Retreat offered me a complimentary stay in exchange for this review. It’s the only way I can get a taste of the city’s best hotels and I’m happy to oblige because this really is one of Kigali’s best options for those who have some money to splash out on a luxurious accommodation experience. The Retreat only has 11 rooms and they’ve taken great care with each one. There’s a focus on environmental sustainability and design that can be seen in the locally-sourced (and beautiful) building materials. They support local artists by displaying their work around the hotel, fill their garden with a lush jungle of gorgeous regional plants, and the entire place is run on solar energy. Their mattresses are one of the things in the hotel that aren’t locally sourced and when you plop yourself down on the bed, you’ll understand why. The hotel’s owners came across these mattresses while staying in another hotel on their own travels and knew that these were what they wanted in The Retreat. Ok so I’m not the type to harp on about freaking mattresses but holy crap, I had the most amazing sleep of my life. If and when I ever end up with a place of my own, I’m going to do my best to have this mattress in my life. Seriously. It sounds weird, but it sort of blew my mind. Ok lets move on from my weird mattress obsession, shall we? The rooms at The Retreat are also something special. The interiors are made from Tanzanian teak and each piece of furniture and the whole interior has been beautifully designed. The rooms are spacious, airy, and have a lot of natural light flowing in from the sliding doors at the front that lead to a private balcony. Each room also has a private patio at the back of the room that makes for a cozy place to hide away with a book. The bathrooms are also pretty amazing and, while there’s unfortunately no bath, they have wonderful showers and even an outdoor shower for when the weather is sunny and warm, which I think is a nice touch. 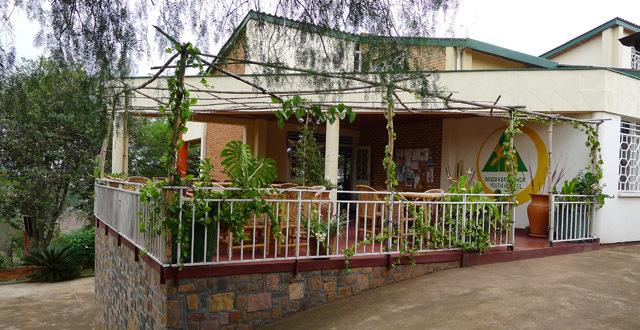 The Retreat is located on a leafy street in Kiyovu very close to Kigali’s business district and right next door to Heaven Boutique Hotel and Heaven Restaurant, two of their other businesses. The location is perfect for anyone who wants a quiet setting that’s not too far from some of the city’s main amenities. Town is a short walk up the hill where you can find grocery stores, banks, restaurants, cafes, and cell phone operators if you want to pick up a sim card. Ubumwe Grande Hotel is nearby and it’s worth a stop to get an amazing view of Kigali from their top floor restaurant. Kiyovu is one of the city’s most affluent and pretty areas and it’s a wonderful and safe place for a stroll, day or night. When I stayed at The Retreat, breakfast was served from their restaurant next door which is one of the most popular places in the city and serves up a great selection of hot options along with a buffet of fruit, cereal, yoghurt, and fresh bread among other things. I opted for their version of Eggs Benedict which has a couple of little twists to the traditional dish that really makes it stand out. Plus it’s a beautiful plate of food and the sort of thing I’d expect from a hotel of this caliber. 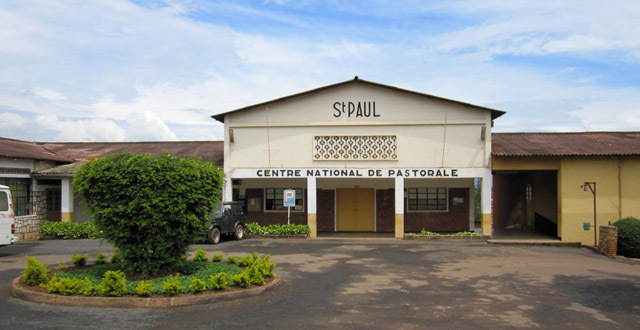 Sadly, when I stayed here, Kigali was in a weird and unseasonal cold snap. Damn you, Kigali, not being perfect all the time! It meant that the pool was only for looking and a bit too chilly to go for a swim. Well, too cold for me – the pool is actually heated so if I weren’t so wimpy I probably would have been totally fine once I got in the water. It’s also one of only two saltwater pools in Kigali (the other one is next door at Heaven Boutique Hotel) which is pretty cool if you want something that feels a bit beachy. The pool and the landscaping around it is absolutely beautiful, though, so sitting on my balcony and having a view of the pool was almost as nice as swimming in it. Almost. I loved my stay at The Retreat! It’s the way a boutique hotel should be and I really felt welcomed by all of the staff and the owners from the moment I walked in. I met with some other guests during my time there who were equally impressed (and who also have a new mattress obsession). 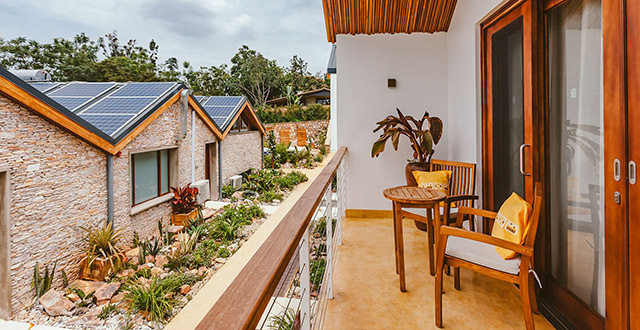 The Retreat will be out of most people’s price range at $350+ per night, but there’s definitely a market in Kigali for a boutique hotel of this standard. With Rwanda targeting higher-end tourists, this place is a perfect start to a trip that goes on to visit the county’s excellent, five-star safari resorts. If you live in Kigali and want to pay The Retreat a visit you can check out the brand new Fusion Restaurant for a fine dining experience, join their gym, or get a treatment or a massage at their wellness centre. The gym is beautiful with brand new machines and an entire wall of windows that open up to give you the feeling that you’re outside. Plus they have pilates, Zumba, and yoga classes. The Retreat really is a beautiful new addition to Kigali’s upscale accommodation market and I loved my stay there and would recommend it to anyone who wants to experience luxury in Kigali.